Florida has its fair share of plant diseases, pests, and insects. From fungal diseases and brown patches to cutworms and chinch bugs, turf grass can become vulnerable to a variety of problems. Sod installation is ideal during the autumn and early winter because the majority of those bugs and illnesses pose less of a threat to new grass. Florida is also known for its hot and humid weather. Fortunately, it’s common for the fall season to bring about some rain when the weather gets cooler. This rain is exactly what your new sod needs to really thrive. Rather than risking installing your sod during a summer heatwave, wait until the safer and easier cool weather. Fall is the time of year that sod farms like Council Grower’s Sod in Tampa, Florida begin to harvest popular shade-tolerant grasses like St. Augustine. Many homeowners prefer St. Augustine sod because it thrives in nearly all well-draining soil types, tolerates extreme summer heat, and keeps its color even at lower temperatures. However, St. Augustine is prone to disease when installed in the high temperatures and humidity of summer. If you have a shady area on your lawn that you want to sod with St. Augustine grass, autumn is the time to do it! 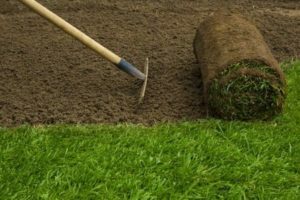 Council Grower’s Sod specializes in Tampa sod pickup, delivery, and installation and promises you the highest quality local sod to meet the needs of your yard. Call (813) 633-8665 today to find out more about Council Grower’s Sod, select the type of sod that will perform best in your yard, and schedule your autumn installation.